A tradition is something highly valued that is passed on from generation to generation. Frank Davis Jr. has truly taken his family’s tradition of hard work and dedication to heart and applied it to every area of his life. He’s been instilled by his family and relatives with an attitude of hard work and the shared passionate drive to pursue his dreams tenaciously. When Frank Davis Jr. is helping you achieve your important real estate goals and dreams, you can see the tradition of excellence at work. Frank comes from a long line of real estate professionals, and he carries the tradition proudly. For Frank, this means working tirelessly with buyers and sellers and using his in-depth area knowledge, solid negotiating skills, construction background and advertising expertise to help them make the most informed investment decision. 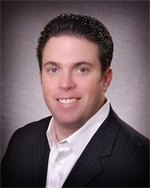 Frank a Top Producer at Long and Foster, joined Keller Williams in 2003 and continued to be a Top Producing agent. In 2005 Frank, Bill and Dave opened Keller Williams Select Realtors in Ellicott City, 2008's #1 Office in the Region.